Our services include investing on behalf of charities, foundations and other corporate entities. 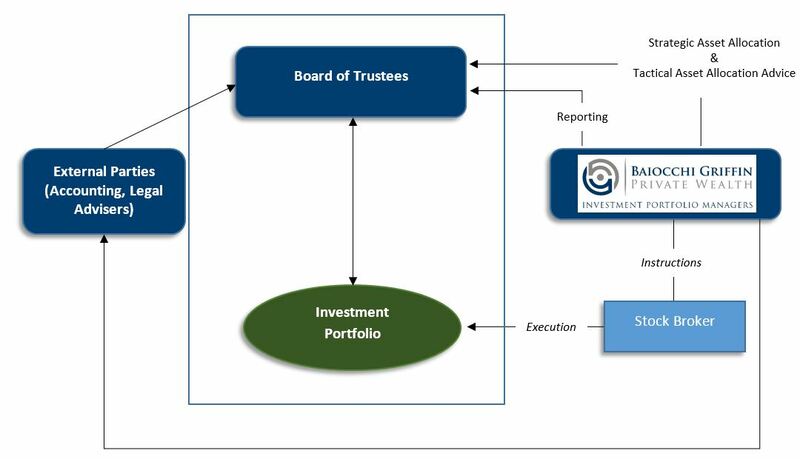 This service involves the formulation of tailored asset allocation models and investment selection strategies, taking into account the goals and objectives of the relevant entity. Consideration is also given, where required, to ethical investing preferences or screening for inappropriate investments. Comprehensive portfolio reports are provided on a regular basis, in addition to executive-level presentations and reports regarding the portfolio and its performance. At all times, our investment recommendations for institutional clients are underpinned by the so-called ‘prudent person’ test. The quite onerous obligations placed upon trustees/directors of corporate entities and those who advise them, under various statutes, dictates that investments must be made and managed with reasonable care and diligence. One such obligation is to preserve the assets of the entity while simultaneously making investments for the betterment of the entity and its beneficiaries. We are very aware of the potential for conflict within such obligations and as such our recommendations and ongoing services for institutional clients are aimed at assisting trustees/directors to comply with their investing duties. Please contact us for further information relating to our Institutional Investor Services.